The newest title in the Halo franchise, Guardians, besides being slightly disappointing, offers a huge amount of replayability under the form of collectibles. Skulls are collectible items and they are quite hard to find. Players can gather them by playing through the Halo 5: Guardians campaign. They aren’t just eye-candy. Skulls also enable awesome gameplay effects, which spice up the campaign experience. 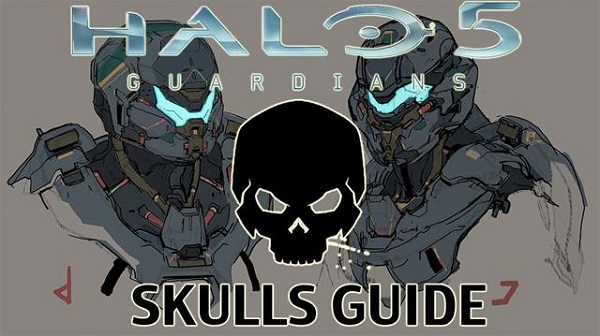 This guide will focus on Halo 5 Skull locations as well as explaining how to actually get them. Buy Halo 5: Guardians if you don’t own it already! Before you start searching for them, you should know that they are scattered across the campaign. We’ll also be detailing the Skull’s effects so pay attention! The IWHBYD Skull can be found in Mission #1 – Osiris. As soon as you reach the doors that leads to the Forerunner security station, jump onto the ledge on the left of the doorway. Continue to walk along it until you reach the Skull at the edge of the cliff. – Uncommon dialogue becomes more common and common dialogue can be heard much less throughout the game. The Black Eye Skull can be found in Mission #2 – Blue Team. Continue as normal until you reach the Reactor Control Room. Once arrived at the entrance, take to the left side and continue to walk on the path. Make your way to the top of the square unit, climb the large pipe on the left wall and follow them until you reach a higher-up ledge at the back of the room. Hop on the ledge, peek to the left and go into the small opening. Now, use your Ground Pound attack as there is a metal shutter inside the floor, in the corner. Smash through it and fall down into the orange-infused chamber. The Skull will reside in the left corner of the room. – If acquired, Shields will no longer regen automatically, and the player will have to melee enemies in order to re-energize their shield. The Iron Skull can be found in Mission #3 – Glassed only if the difficulty level is set to Legendary. Quickly, make your way to the Scorpion, which can be found in one of the garages. If you’ve went passed the hill to the station gate, you’re too far away. This all happens in the last half of the mission, mind you. Drive along the path that leads to the Meridian Station Gate and use your newly acquired Scorpion to destroy the Phaeton, which, apparently, is busy chasing a cargo ship. If you happen to be too late for the mini-event, then reload from the last checkpoint and hurry up. Once the Phaeton is obliterated, the Iron Skull will spawn in 1 of the 3 garage locations in the area. Near a cliffside you’ll find two yellow containers, and between them a garage. Go to the garage area and look for a few containers covered in a green substance. There will be a small staircase that leads to them, above one of those garages. Go to the center of the garage and you’ll find two crates. The skull might respawn in one of them. – I hate this Skull with a passion. You see, once collected, this Skull will remove the ability to restart the mission from the last checkpoint. 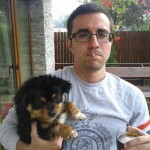 Instead, you have to begin again precisely from the start of the level. The Blind Skull can be found in Mission #5 – Unconfirmed. Play the mission until you get to the passage that leads to the indoor mine from the quarry. Jump to the platform found in the middle of the pipes and walk forward, along the ceiling. Continue to walk until you reach a crawlspace. There you’ll find the Skull. – This Skull is really nasty as it removes your HUD, as well as the appearance of your weapons and hands. This means that you will not be able to see what weapon you currently hold and how much ammo you have. If any. The Thunderstorm Skull can be found in Mission #6 – Evacuation. To acquire this Skull you’ll need to go fast, shoot fast and react twice as fast as you normally do. You see, you need to destroy five traffic cones under two minutes. The can be found at the beginning of the mission. The Skull will then respawn at the end of the mission. To do so, grab the Mongoose near the starting point and quickly manoeuvre from cone to cone. Your first cone-victim can be found to the left of the walkway once you have passed the first gate. At the garage area you’ll find the next cone, just near a staircase. Look to the right and you’ll see it. The third traffic cone is located at the broken bridge, behind several debris objects on the right side. Quickly move forward until you see a huge vehicle that has six wheels. Behind it you’ll find the fourth one. The last nuisance is located at the base of burning debris. You can’t miss it, just keep moving forward. The Skull will spawn at the end of the mission, after you jumped into the Pelican and made your way to the landing pad. Keep your eye on the ground so you don’t miss it! – All of your enemies will be automatically upgraded to their highest rank. Just so you feel like you’re fighting something tough! There are two Halo 5 Skulls to be found in Mission #7 – Reunion. The first is the Grunt Party Skull and it’s rather easy to locate. Pass the Covenant that appears to be plotting the end of the world, make a right, further down the pathway passed the cave that leads to the drop off. There, you’ll fine a lone Grunt. Kick, bite and kill him to get the Grunt Party Skull. – Every Grunt that you headshot will burst into a puddle of confetti. However, every Grunt that you kill without having his noggin smashed will explode like a grenade, damaging everything that is nearby. The second collectible is the Cloud Skull. Go to the Forerunner platform and you’ll find the Cloud Skull by looking around the small setting. – The Cloud Skull effect will remove your motion sensors thus preventing you to see if there are any foes coming to get you. The Mythic Skull can be found in Mission #8 – Swords of Sanghelios. Play as you normally do but stop when you reach the ruins that are beyond the sinkhole. Go further up the stairs that lead to the outside world, make a right and look for a shattered pillar, which you can climb and jump off of. Pull a Mario and make your way from pillar to pillar until you reach the left farthest platform. Now, you have to pay attention as you’ll require to sprint and also use your thruster in order to jump over the gap, where you’ll find the Skull. – This killer Skull will boost all of your enemies HP by 100 percent, and also increases their sustain. The Catch Skull can be found in Mission #10 – Enemy Lines. Play as you normally do until you reach the part where you are required to fly a Phaeton straight onto a Kraken. Once you managed to get yourself onto it, head down to the Banshee hangar. Turn around and make way to the platform that’s just above the green-coloured tunnel. – This insane Skull will increase the amount of grenades that your foes can carry and subsequently throw at you. The Cowbell Skull can be found in Mission $12 – Battle of Sunion. At the end of the level you’ll have to run to the back of the place where the Wardens have spawned – which are near the Guardian. Drop over the edge straight onto the metal platform that rises from the ground. The skull is hidden among debris. – Finally, a Skull that is useful to the player and not to the computer. This Skull triples the power of all explosive weapons. The Tilt Skull can be found in Mission #13 – Genesis. Go to the place where you saw the first Warden spawn and head to the right. Climb the rocky objects and you’ll be faced with the Skull. – This skull will make a weapon less effective than it normally is. This depends on your target and the favorability that it has. The Famine Skull can be found in Mission #14 – The Breaking. You just have to go to the control terminal that can be found under the platform where the first Warden has appeared. Look behind the terminal and you’ll find a passage. Further along you’ll locate the Skull as well. – All of the weapons that are some way or another dropped by your foes or allies will have less ammo than they normally do. The Tough Luck Skull can be found in Mission #15 – Guardians. Go to the crashed Pelican and you’ll see the Skull. Make your way to the ice-riddled ledge and you’ll find the collectible near a pile of debris caused by the Pelican wreckage. – All of your enemies will be more agile and on alert.